I cannot recall exactly when my desire to cook from scratch began. Maybe it was the time I attempted to make kale chips during college break and the botched product reeked with such malodorous smell that my mom thought a rodent had died in the garage. Or maybe it was when my parents gave me a food processor and a stand mixer during my senior year of college, which happened to be the same year Pinterest first boomed. With inspiration from Pinterest and my own food processor, I couldn’t resist making own nut butter. My first almond butter was probably a little too toasted and thick, but I was hooked by the idea of making my own food from scratch. It was oddly empowering and fun at the same time to transform a bag of almonds into a creamy nut butter that cost far more at the grocery store. 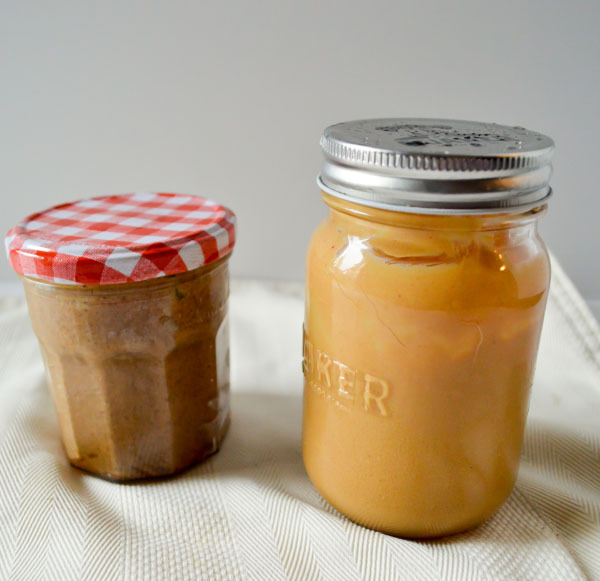 If I could make my own nut butter in a tiny studio apartment kitchen, then you can too – so today, I want to share how to make your own almond butter and peanut butter at home. Since then, I’ve probably made gallons upon gallons of nut butter. I love the first bite of a freshly made nut butter, which is so flavorful and creamy. And at the rate we go through nut butter, with two runners in the house, it is more cost effective, convenient, and healthier to make our own. You probably love nut butters as well – most runners do. Nut butters can power miles of running and satisfy a hearty appetite after a run, not to mention that they taste good. 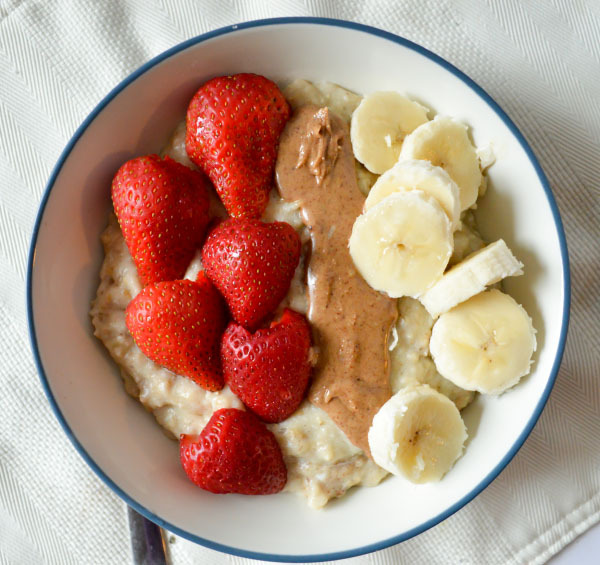 The two most popular varieties, peanut butter* and almond butter, provide protein, healthy fats, and a significant dose of vitamins and minerals, making them one of these best foods for athletes. They are also a highly satiating food, which means adding some almond butter to your post-run bowl of oatmeal will help keep runger away. Whether you choose almond or peanut butter, nut butters are easy to digest but have a low glycemic index, which means they help keep your blood sugar balanced. This makes them an excellent addition to your pre-run banana or bagel, as you will sustain energy for longer. My favorite pre-run snack is a banana with peanut butter or, for a long run, toast with a bit of peanut butter and a banana. You may be wondering – why bother to make your own almond butter or peanut butter when it’s so readily available in stores? Cost: I purchase my almonds and peanut from the bulk section at the grocery store. I’ll pay about $2 for a pound of peanut and $6-7 for a pound of almonds.One pound of peanuts or almonds is roughly 3 cups, which yields approximately 16 ounces of nut butter. Ounce for ounce, that’s cheaper than a high-quality jar (which is usually 12 ounces) of either peanut butter or nut butter. Control of Ingredients: Many brands of peanut and almond butters contain palm oil, cane sugar, or similar ingredients. The oil and sugar serve the purpose of preserving the nut butter from the manufacturing and packaging plant to the grocery store. The preservation is not necessary when you make nut butter at home – so you can skip the oil and sugar and use just the nuts and a pinch of salt. Ease of Preparation: All you do is put your nut of choice and a pinch of salt into the food processor and then let it work its magic. It’s that ridiculously simple. I’ll whip up a batch of peanut or almond butters while making oatmeal for breakfast or cooking dinner. The hardest part is probably cleaning the blade! 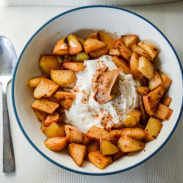 Customization: You can add anything you want – cinnamon, honey, chia seeds – to your nut butter, or you can even combine nuts for a creative blend. 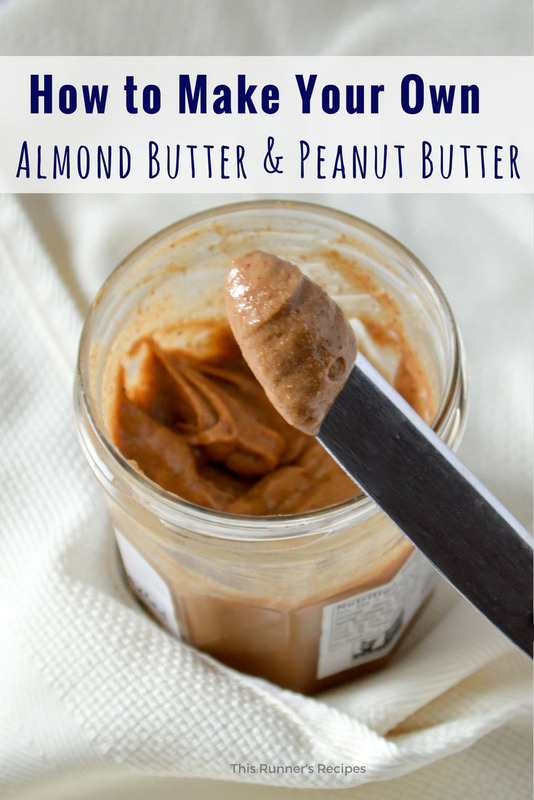 You can make your nut butter as creamy or crunchy as you like! I like mine super smooth, so I’ll let the food processor keeping going for an extra minute for a creamy texture. If you purchase individual serving packets from the store, you can make your own at home using a resealable pouch (such as this one). For storage, I simply save and wash out old jars from coconut oil, store-bought nut butters, or jam and keep it in the fridge. Both peanut and almond butter will keep up to two weeks, but let’s be honest – you’ll probably finish the jar well before then. Add the peanuts and a pinch of salt to your food processor and puree until smooth, for about 5-10 minutes. If your almonds are not toasted, lightly toast them in a large, flat pan over medium heat for 2-4 minutes, stirring frequently. Let cool. 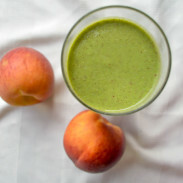 Place your almonds with a pinch of salt in your food processor and puree until it becomes a creamy butter. Almond butter takes approximately 5-15 minutes, depending on the power of your food processor, and you may need to stop your food processor and push down the almonds in the first few minutes. 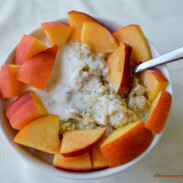 Be patient - the almonds will go from whole nut to ground to a large, thick clump before smoothing out into a nut butter. If your food processor overheats and stops, give it a few minutes and try again, and then make your nut butter in smaller batches in the future. Each recipe will make approximately 12 ounces of nut butter. *Yes, peanuts are technically a legume, but peanut butter is more similar to nut butters in terms of taste and texture than it is to bean purees such as hummus. What’s your favorite way to enjoy peanut butter or almond butter? Thanks for sharing this! Ive never tried making my own nut butter but it sounds easy enough. I’ve never made my own nut butter but am now inspired to try! Do you refrigerate your nut butters after making? I’m going to confess something: my favourite brand of peanut butter is Kraft creamy. Yup. It’s probably filled with junk but I love it. I’d make my own nut butter but I have a feeling it would taste a lot different! Ha ha! I’ve never made my own peanut butter but I definitely should! I think my favorite way to eat peanut butter is on a toasted English muffin or in oatmeal. Kroger brand natural PB is actually about the same price per oz. as bulk peanuts here – but I hardly ever go there for groceries so I’ve been making my own more often recently. I’m not really a fan of plain almond butter, but half almonds/half pecans is really good! Oh my goodness! This looks delicious. I don’t love that you usually have to stir together store bought nut butters, but I could live on peanut butter. I will have to experiment with making it at home!